To be fair, this is usually common occurrence when adopting something new. As a user myself, I have tried and tested several apps on my smartphone. Some can be quite challenging to navigate. But I reckon that it also depends on other factors, such as the type of users. Digital natives would usually breeze through but not the other end of the demographic spectrum. Currently, many consumers and merchants in Singapore belong to these groups of folks. 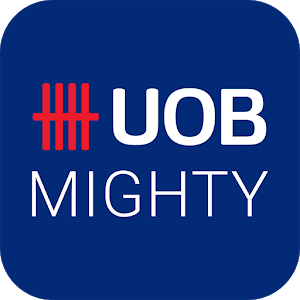 DBS Paylah and UOB Mighty are two apps which I have been using for several months now. Some people I spoke with shared their views and most tended to be too quick in brushing away the convenience of using the apps due to the initial kinks they encountered. For those of you who are still twiddling your thumbs, I have put together a simple table as an end user between the two apps by our local banks. Hope this is useful. While both provide similar capability as an eWallet, BS Paylah and UOB Mighty are essentially quite different. There is a host of other functions in their apps for users to explore as we progressively become familiar. For beginners, I suggest for Paylah to ease yourselves into the mobile payment bandwagon while Singapore-based users wait for SGQR to be rolled out.